Vintage bulbs, retro bulbs, old fashioned bulbs, heritage bulbs; whatever you want to call them, they are everywhere! In technical terms their name is Filament bulbs but they aren’t restricted to one! They are used in many situations, in many ways and are so popular there’s no doubt you’ve seen them before! They are also available in LED’s which are only different to normal filament bulbs because of their energy efficiency. 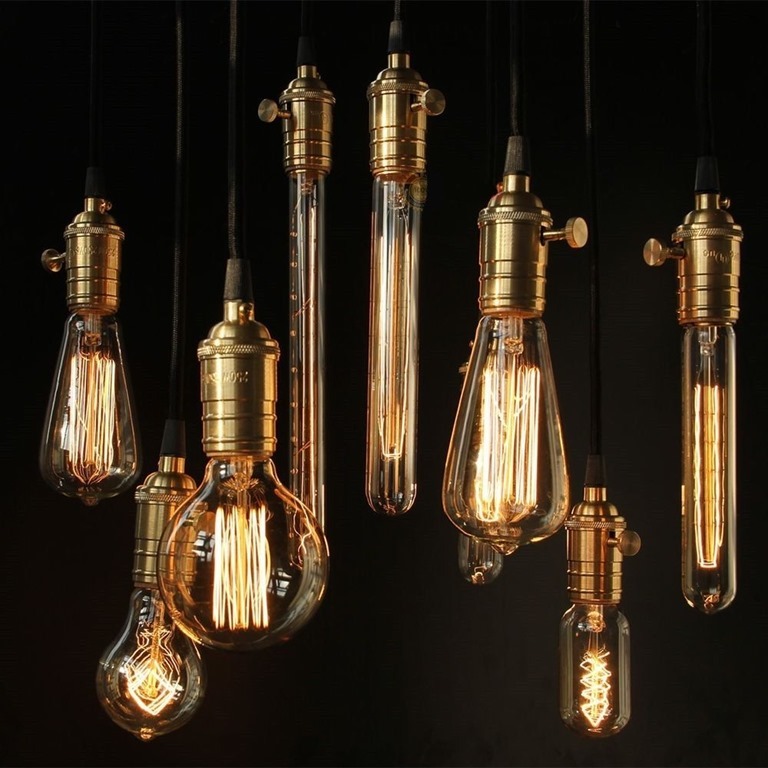 So what are LED filament bulbs? They are electric light bulbs that use LED’s which are shaped as a filament. It is the filament that creates the vintage and old feel by being able to see the wires. The one prominent benefit of filament bulbs is that, because the light is spread through filaments, they are Omni-directional and aren’t restricted to one direction light. The clear glass that the filaments are encased in also helps with the Omni-directional spread light because it doesn’t restrict how or where the light spreads. However, the glass can get very hot, so it isn’t ideal to use them anywhere where a bulb could be touch. 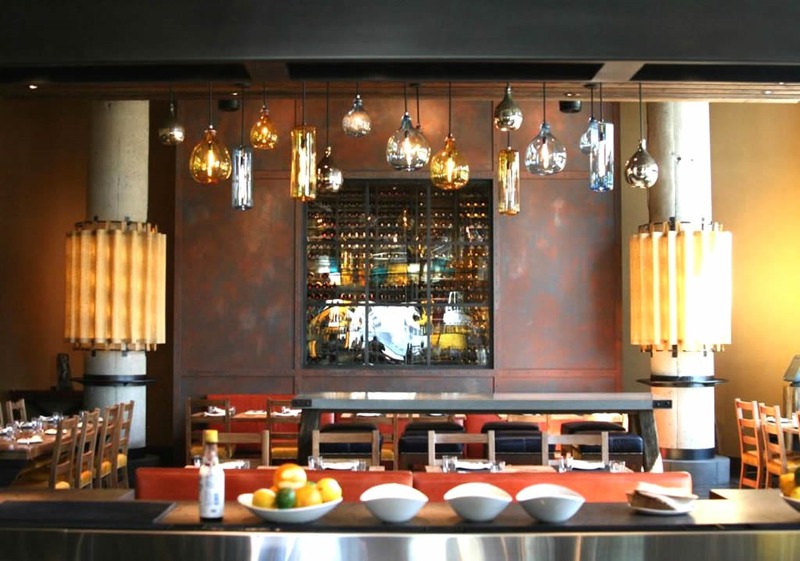 Restaurants are somewhere that filament bulbs are being used more and more to help create atmosphere and ambiance. 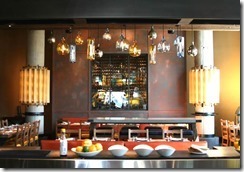 They look effective and give off such good direction of light which is why they are so popular in restaurants. Have a look out for the bulbs when you next go into a restaurant, you may not have noticed them because you weren’t looking out for them. What is the difference between Filament Bulbs and LED Filament Bulbs? As previously said, there isn’t much of a difference except ones LED and one isn’t. So what actually is the difference between these two bulbs? LED bulbs ( this is where we are biased) are more energy efficient – they save you so much money on your energy bills each month. If you want to find out how much you could save by changing to LED’s please don’t hesitate to get in touch. The bulbs also last longer; on average a bulb can last up to 10 years. This is why in corporate places a lot of the time LED bulbs are used because it avoids having to change bulbs so often, especially in restaurants where one broken bulb can change the ambiance and effect of a place so easily. In places where bulbs are difficult to change LED’s could also be perfect for you because it would mean they wouldn’t need changing nearly as much as regular bulbs. LED bulbs also give off less heat in comparison to the filament bulbs. They both give off heat and can become very hot, but the LED nowhere near as hot as the filament can potentially come. Regular filament bulbs aren’t without their advantages though! The advantages of filament bulbs are that they are more aesthetically pleasing. They aren’t energy saving which means all of their energy goes into the bulb, making them brighter producing a better glow. 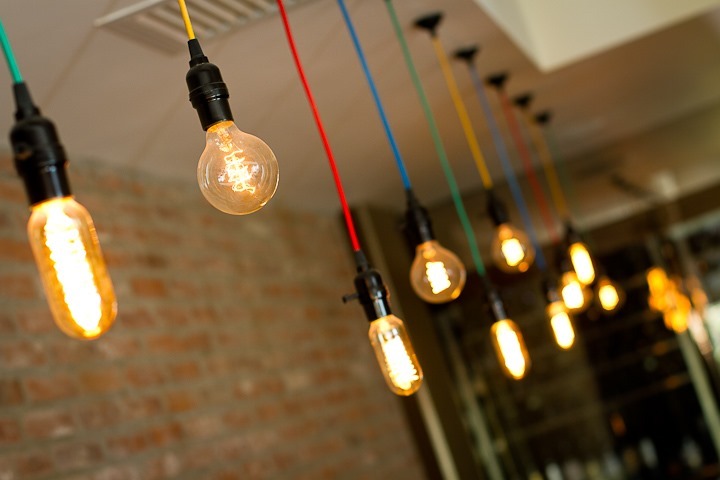 Filament bulbs can also be dimmable; this is a huge benefit because it means that they can create further variations of ambiance and atmosphere – more than they already create from just being on! LED filament bulbs aren’t dimmable as standard, but this doesn’t mean that they can’t be. 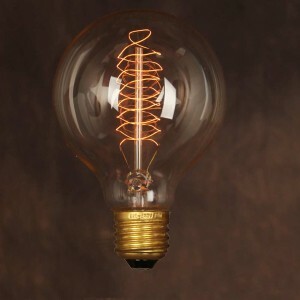 Filament bulbs are b ecoming increasingly more popular on the market nowadays because they are aesthetically pleasing; especially now that they are also available in the UK’s standard large bayonet fittings as opposed to the large Edison screws which are what they have been originally. We have recently joined the filament bulb hype, especially since it has only recently been possible to sell and buy them on the market – there was a time where Incandescent bulbs (which looked very similar to how filament bulbs do now), were available on the market, but because of energy efficiency, or lack of it as the case was, they were banned from being sold. Thankfully, the bulbs have been recreated – there was definitely a gap in the market for them! And they are now better than before! To see the range of LED filament bulbs that we have just started selling, click here. If you have any further questions about filament bulbs or would like more information, head over to the article on our website to read more or contact us – we are available 7 days a week on email or over the phone. We are looking forward to hearing from you!